Relationships are things we develop the second we leave the womb. In our early lives, we form these special bonds with our parents, siblings, family members, and next door neighbor friends. We grow up, go to school, work jobs, start lives, and this pool of people continues to fill up. Eventually our circles get smaller and people cycle in and out of our lives, but it is important to know that the special ones will always stick around in some way or another. As we age, we start to look for different types of relationships. Arguably the most vital relationship we will ever enter is with our future spouse, who is ideally the person we will spend the rest of our days with (if we approach things the right way). The beautiful thing about this bond is that it can come during any stage of life, whether it be childhood, the high school and college years, or at any point during adulthood. What never changes for the majority of us is how we crave this bond, whether we spend time actually looking for this person or staying up late thinking about when our time is going to come/when we are going to find “our person”. Each of us figures out how to go about finding the person for us in our own way, but the important thing is to be intentional about doing so. Love and relationship know no bounds and neither can you. You have to get out there, get uncomfortable, and do things you never thought you would do to get to where you want to go. I have been very open about my past and how I viewed myself during my youth. The way I viewed myself made being in a romantic relationship tough, even though a relationship with a good person is something I wanted so badly. “I would be so great in a relationship”, I thought to myself. I was a caring, unselfish, interesting person back then, too. The problem lied in the fact that I did not like myself, and if that was the case, how could anyone else? I didn’t date at all in high school, despite having crushes and never acting on it. I went on a couple dates in college and was very interested in few girls, but never got closer to what I was looking for. It was not until the end of my 23rd year that I really looked in the mirror and knew I was getting nowhere. I had to take ownership and really get out of my comfort zone. With the bar scene not really being my thing and not knowing where else to turn, I tried something I swore I would never do. I entered the world of online dating. I remember my friends teasing me years earlier, saying they were going to create a dating profile for me and find me a wife. Blushing, I told them “they better not” and let them know how ridiculous they were being, yet here I was, making my first online dating profile on Match.com. After trying out Match for a couple months and going out on a date or two, I found out real quickly that I needed to go a route which was more “me”. I decided to make a new profile on Christian Mingle, knowing I needed someone with a similar belief system. It was here where I experienced quite a journey. Over two years, I met new people from different places, learned about what I liked and didn’t like, gained some life experiences, experienced heart break, healed, and figured out what I needed. More than anything, I learned that I needed to find someone who I could pursue something great with without limitations. I knew that when I found that, my search would be over. After spending the majority of 2015 trying to make something work with someone who did not feel the same way, I decided to enter the world of online dating one last time right after my 25th birthday. I talked to a few people throughout the fall, but nothing materialized. I started to wonder what I was doing here again. “Maybe she’s not here?”, “Maybe I need to look elsewhere.”, I thought time and time again. It’s funny how life has ways of surprising you when you start to doubt, and I was completely oblivious as to how much my life would change right before the end of 2015. If you are unfamiliar with how online dating works, I will give you a quick tutorial. You enter all this information about yourself (your interests, hobbies, personal facts, what is important to you, what type of person you are interested in, your range or how far you are willing to travel to meet someone, etc.) and it matches you with other individuals who share common interests and the criteria of what you are looking for. I had often expanded my scope to the entire country just to see what was out there, but was currently sticking to a 50 to 100 mile radius. This was as far as I was willing to go, at least until a higher power intervened. I opened up my account on December 27, 2015 and started scrolling through the faces like I normally did until I stopped in my tracks. I saw this very pretty, blonde-haired, green-eyed girl and I decided I wanted to know more about who this person was. Her name was Leah and she was from Zeeland, MI, which I had never heard of. 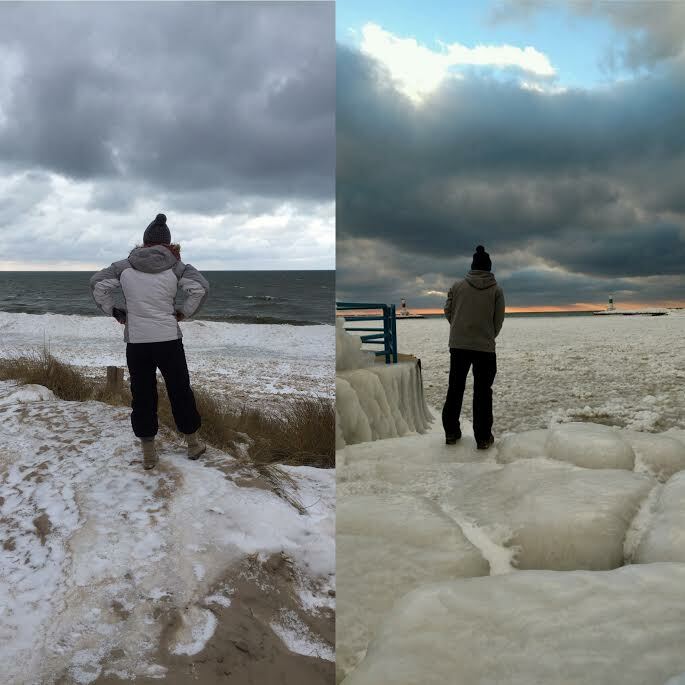 I had spent a lot of 2015 in southwest Michigan, but only ventured to the west side once. Apparently it was right across Lake Michigan from me, which I thought was very cool. As I continued to read over her profile, I was blown away by her honesty and how transparent she was. “This is a solid woman who knows what she wants in life”, I thought as I smiled from ear to ear. I decided to be the same honest, transparent person back and pay her a compliment or two about how much I admired who she was. I did not expect to hear anything back and moved on with my day, but knowing that women like her existed gave me hope. To my surprise, I woke up to a message from her the very next day. She thanked me for my kind words and complimented me about enjoying who I was, what I was about, and told me to keep being that way. She ended her message with “It is too bad you are pretty far away. If only that small lake wasn’t there, things could be simplified!”,and told me to “Keep up that good patience in the Lord”. After reading those words, I was happy and sad at the same time. It seemed as though the prospect of anything more happening was slim, a 200 mile trek and Lake Michigan being a divider. I could have moved on right then and there, but I reminded myself that limitations would not hold me back and that these big dividers were not so intimidating if it meant my life could change. I decided to message Leah back and we kept the communication going . Messages turned into phone calls and eventually a first date in Holland, MI on January 16, 2016. We met for breakfast, went snow-shoeing, explored the west Michigan lakefront, had some dinner and hot chocolate, and walked around downtown Holland, all while having incredible, easy conversation. After saying our goodbyes and landing a kiss on the cheek, I got in my car and headed the three and a half hours back to Illinois completely blown away. Did I really just spend all day with someone I just met and have the most amazing time of my life? You bet I did! I was excited to see where things would go and had never been more sure about another person in my whole life. How many people can say that after a first date? Leah came down to see me the week after and the amazing times continued. I don’t know if it was the conversations during our walk through the Botanical Gardens, walking around Lake Geneva, or singing “Burn” by Usher together in the car, but something in me knew she was the right one. As we were in front of my house saying our goodbyes, I looked in her eyes and told her I did not want to be with anybody else. She felt the same way and from there, a wonderful relationship formed. Over the course of 2016, we have spent a lot of time driving, learning about each other, laughing, crying, meeting friends and family, exploring, talking about the future, and continuing to grow. 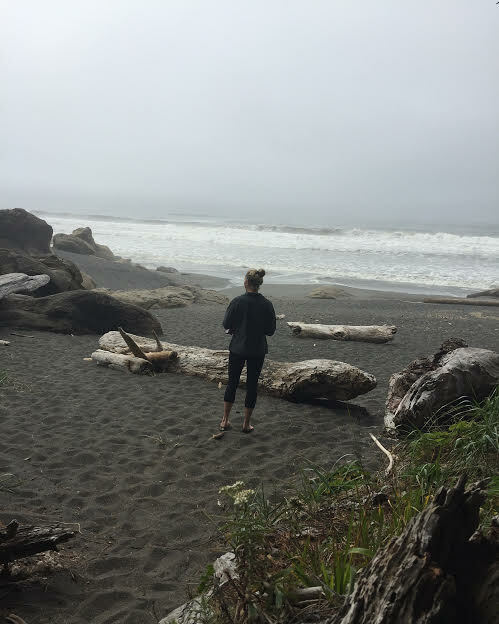 Despite knowing I wanted to spend the rest of with Leah from the moment I met her, I made it official on August 16, 2016 after getting on one knee atop a rock, overlooking the Pacific Ocean on Kalaloch Beach No. 3 in Washington. We will be getting married in September of 2017 and will be starting our life together in Michigan. Things have not been easy by any means and the distance and tough schedules do not allow us as much time with each other as we would like, but we both understand how temporary this all is. We do not let these small-picture limitations cloud our big picture. Our relationship and love knows no bounds and we look forward to every day we get to spend together. This is all that matters. Whether you are in a relationship of your own or are still looking, always be thinking big picture. Do not let limitations, whether it be distance, how you viewed yourself, the idea that you could get hurt again, or anything else keep you from the best things life has for you. Live a relationship life with no bounds. You will be glad you did. This was a better story than most romance movies! Congratulations and all the best to both of you! Thank you so much! I feel very blessed and am glad I decided to do what my heart wanted me to do.